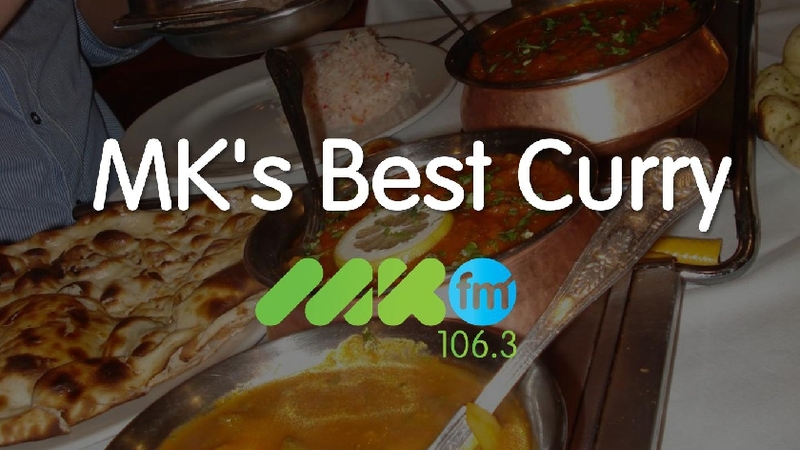 The public have voted the 10 best places for a curry in MK! Our judges will now decide who will win the top spot in MK’s Best Curry. Nominations have closed for MK’s Best Curry, with 10 finalists set to battle it out for the golden poppadum trophy. Indian restaurants top the list with many Chinese eateries and Pubs just missing out in the finals. In the same way as MK's Best Breakfast, the ten locations that received the most nominations will be reviewed by our panel of judges! The winner of MK's Best Curry will be crowned on Tuesday 30th April 2019, and will win an awesome prize package. - One month's FREE radio advertising and promotion on MKFM - worth over £500! • The judging will take place between the closing date for nominations (20th January 2019) and the winner being announced. • Each finalist will be scored by each of our judges with the highest scoring finalist declared the winner. • If one or more of the top ten businesses are unable to accommodate our judges or choose not to participate in the competition, the business with the next highest number of nominations will be placed into the final round of ten. • The judge's result is final with the winner being announced on Tuesday 30th April 2019. • As with all competitions on MKFM, our standard terms and conditions also apply.